For instance, take the famous example of the mishnaic term להתרים, which was decried by all of the 18th and 19th century Biblical language purists - since the root תרם does not exist in Biblical language; rather, the Biblical term would be להרים תרומה, where the ת in תרומה is no more than a grammatical prefix. 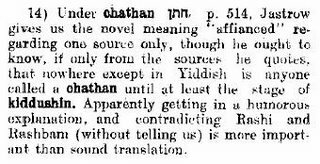 Yet, in our language, we have maintained the 'newfangled' chazali root of תרם as an upstanding member of the language. Biblical purism is no longer in fashion. "אמרם בכל המשנה תרם ותורם ויתרום מקשים עליו הבלשנים החדשים, ואומרים שהעיקר הרים ומרים וירים. ואינו קשה באמת, כיון שהעיקר בכל לשון חוזר למה שדברו בו בעלי אותו הלשון ונשמע מהם, ואלו בלי ספק עבריים בארצם, כלומר בארץ ישראל, והנה נשמע מהם תרם וכל מה שהופעל ממנו. וזו ראיה שזה אפשרי בלשון, ושזה מונח מכלל המונחים העבריים. ועל זה הדרך תהיה תשובתך לכל מי שחושב מן החדשים שלשון המשנה אינו צח ושהם עשו פעלים שאינם נכונים באיזו מלה מן המילים. 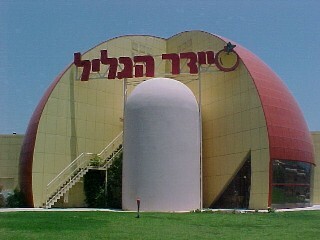 והיסוד הזה שאמרתי לך נכון מאוד אצל המלומדים השלמים המדברים על העניינים הכלליים הכוללים כל הלשונות כולם". "Really though there is no difficulty. The basic expressions of every language always derive from what was spoken by the people of that language and what was heard from them. [In this case}, these are without a doubt the Hebrews in their land, that is to say the Land of Israel -- for from these people one hears "t.r.m." and all the verbal conjugations derived from it. This then is a proof that [such a thing] is possible in this language, one of the terms proper to those in Hebrew. 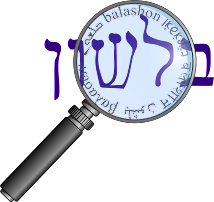 "This should be your answer to anyone who thinks, according to the moderns, that the language of the Mishnah is not eloquent, and that [the Rabbis of the Mishnah] created verbal forms that are not correct by using some word and not others. "This principle I have told you about is quite well-founded among all established scholars who discourse on general matters pertaining to all languages." To summarize, the Rambam is stating that linguistic innovation is legitimate, by saying that all languages change naturally by the people speaking them.